With 92% of buyers searching online, it is critical that your home make a strong first impression. Presenting your home to the market begins with high-quality, high-resolution images of your home. Top notch photographs are a cornerstone of both online and print marketing. Depending on the layout and amenities that exist, it may also be appropriate to produce a virtual tour of your home! Chances are, the buyer for your home will visit your listing online before ever having set foot in the door. We live in an increasingly “wired” world … so online marketing of your home is crucial. Once again, we will rely on the high-quality photographs of your home to help convey its desirability. I also place your listing on multiple sites where potential buyers are searching for homes. Your home will be featured on my company website, and my personal website. Through syndication, I am able to distribute a strong message for your home on dozens of highly ranked websites which buyers utilize during their home search. Your home will be showcased like never before, putting emphasis on the property and presenting it in a High-Definition slideshow format for a movie-like experience. All this online marketing is great, but I don’t neglect the good and effective old-fashioned options. 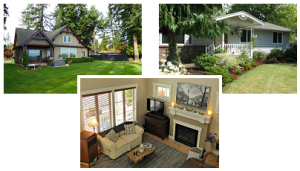 When we work together, I arrange for your home to be featured in local print media including the Lynden Tribune, Bellingham Herald, The Real Estate Book, Northwest Homes, and Pacific Northwest Homes. The more exposure your home has, the more opportunities we have for a sale. 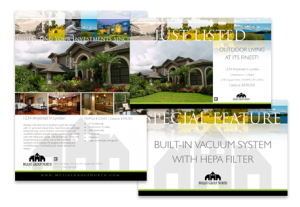 I create a custom flyers for every property I list. Each contains a description of your home, and spotlights your home’s special features. Descriptive information is supplemented by beautiful photos. We will have flyers both in the home and out for drive-by buyers. Also inside the home will be a home book, chock-full of additional information about your home. I will mail a Just Listed card out to the neighborhood as well as sending a letter when your home is listed, pending and finally sells. As a REALTOR®, I place your listing on the Multiple Listing Service, where it can be viewed by hundreds of agents. But I don’t stop there! Our is like an open house for real estate agents in our area. Brokers, with buyers who may be looking for a home just like yours, will have the opportunity to see if it is a good fit for their potential buyers. I am a proponent of open houses because they get potential buyers in the door, even neighbors and passers-by who did not realize they were potential buyers! If your home qualifies as one that would benefit from an open house, we will work together to determine an open house schedule that will suit your schedule and get the most buyers’ eyes on your home.